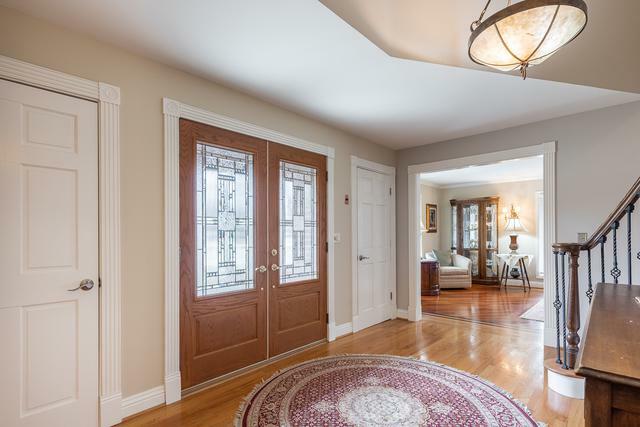 A Quintessential updated North Downers Grove home located in beautiful Orchard Terrace. Only this one is special, located right behind the fenced in backyard is the neighborhood sledding hill! Inside you will have that wow factor instantly. 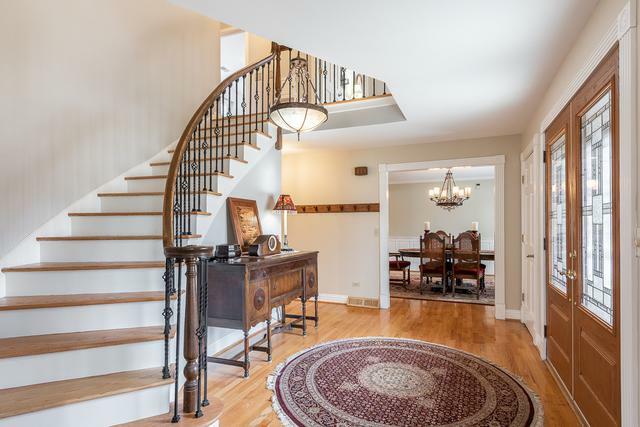 Large foyer has a grand stairway with updated black iron spindles. Interior was painted in 2018. White trim-hardwood floors-6" baseboards-6 panels wood doors thru out. Stunning kitchen w/cherrywood cabinets, granite countertops & GE Monogram stainless steel appliances. Elegant formal dining room w/wainscoting-chair rail & crown molding. Gorgeous stone tile upgraded gas fireplace in the family room. Master bath was just renovated in 2018 w/Carrera marble tile-whirlpool tub-separate shower & walk-in closet. Hall bath was also renovated in 2018 w/quartz countertops. Finished basement w/100" projector TV, office & workshop. 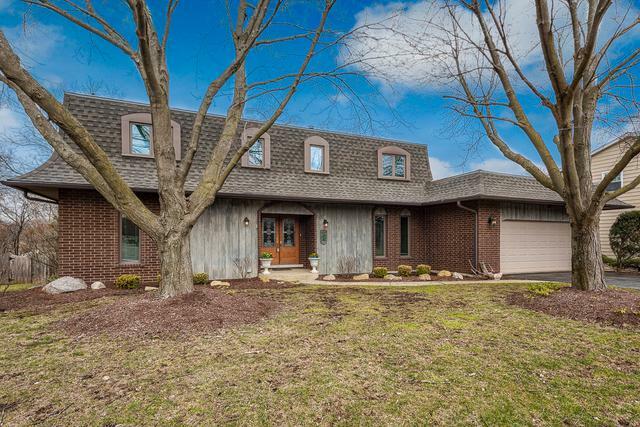 New roof 2019-windows 2013-furnace 2018. Tesla charging station in garage. 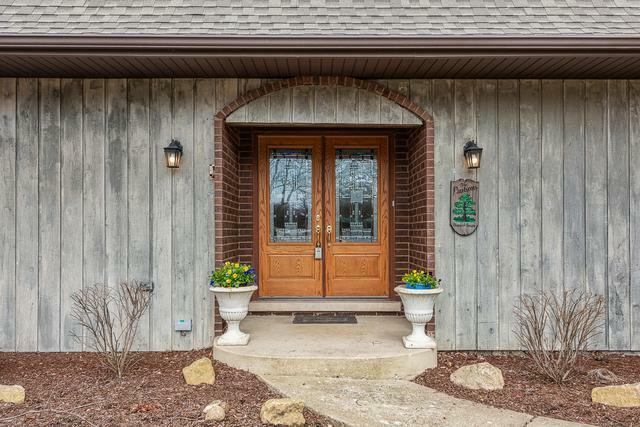 Excellent location-minutes to I88, Downtown DG & Metra!